If you are looking for a versatile van, then the new Nissan NV Passenger, featured at our Appleton dealership, is the ideal choice. Versatile and spacious, this van can seat up to twelve passengers. It is one of the most comfortable vans on the market, and it comes with features such as integrated headrests, ample legroom between rows, and available reading lights. The Nissan NV Passenger also offers the best in safety with features such as dual-stage supplemental front air bags, Vehicle Dynamic Control with Traction Control System, and Tire Pressure Monitoring System. 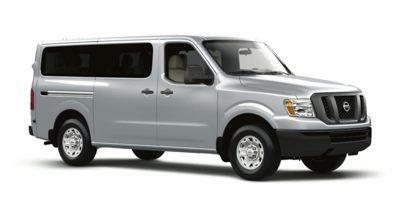 We have an extensive inventory of the new Nissan NV Passenger for our Appleton customers. Get in touch with us to schedule a test drive.